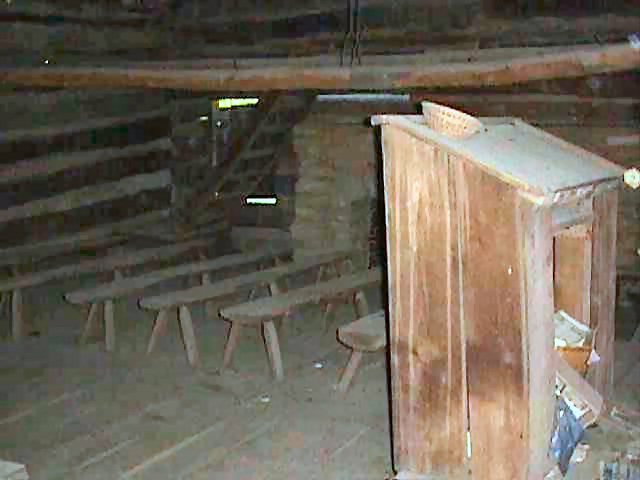 Inside the Little Pigeon Baptist Church is a pulpit, split log benches, church pews, and stairs to the loft. 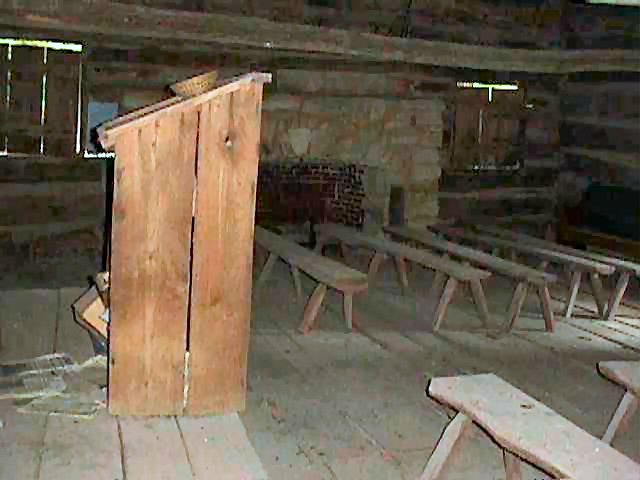 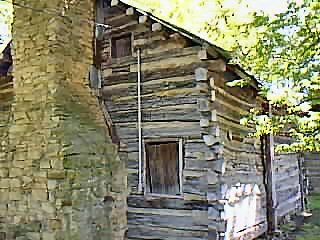 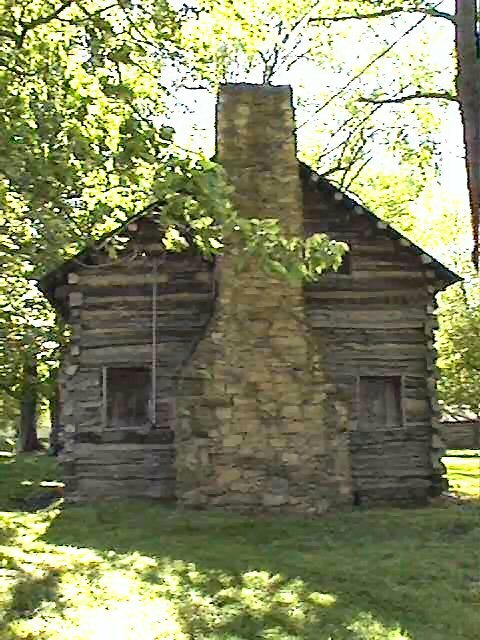 Text on Back: This is a picture of the replica of the Old Pigeon Baptist Church, in the Lincoln Pioneer Village at Rockport, Indiana. 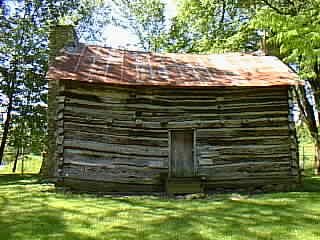 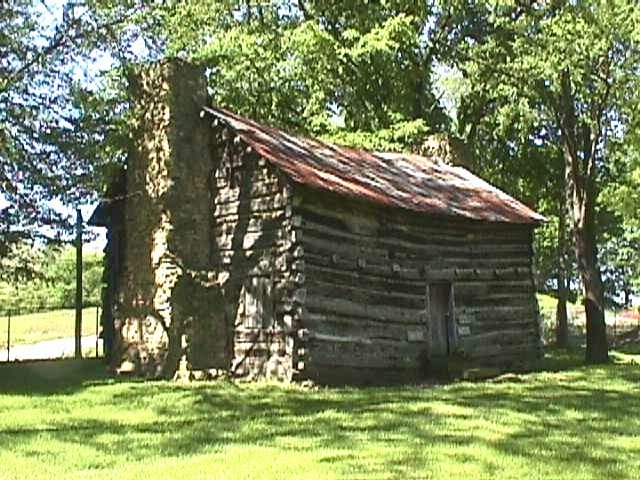 The Old Pigeon Baptist Church was erected in 1819 in Spencer County. 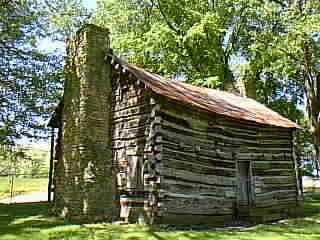 Thomas Lincoln and his son, Abraham, assisted in building it. 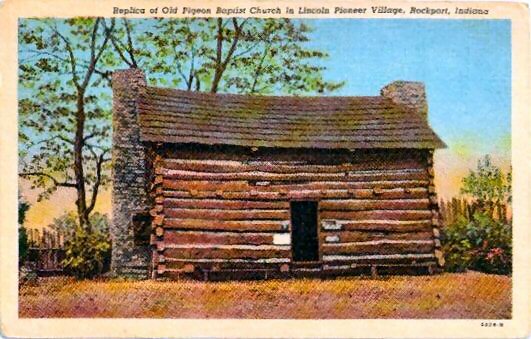 All the Lincoln family, except Abraham, were members of this church.